Jordan Henderson insists any external chatter about Liverpool’s form or title challenge is falling on deaf ears at Melwood. The Reds are aiming to go three points clear at the top of the Premier League table when they take on AFC Bournemouth at Anfield this afternoon – and the captain is optimistic they will generate a level of performance that will enable them to achieve their target of securing victory. 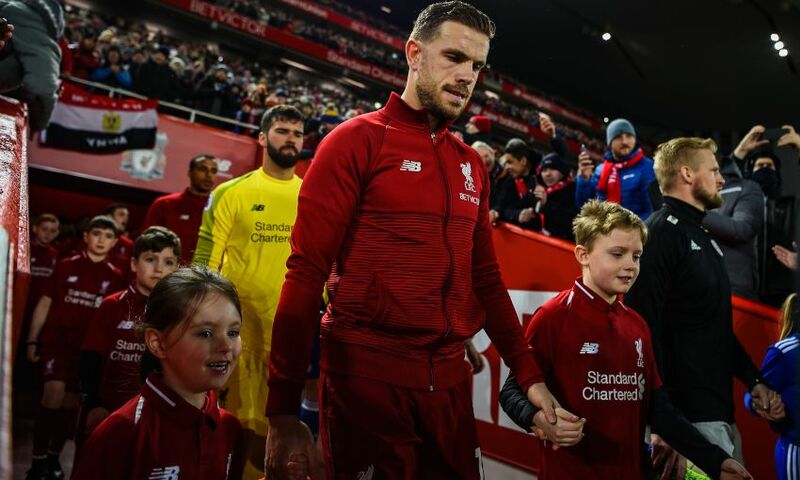 And regardless of what unfolds on the pitch today, Henderson has explained why the only opinions that matter to the players are those of the club’s staff and supporters. He wrote in his column for the official matchday programme: “If we want Anfield to be a place of joy and energy we need to set the tone by playing in that way. In fairness I think we have done that all season and the results bear that out. But maybe now is the time to remind ourselves of that. Remind ourselves that we’re at our best when we’re free and loose. At our best when we express ourselves and get on the front foot. “The people we work each day to deliver for, are our families and friends, those we work with, the supporters and, of course, ourselves. We are a really good team that until now has played a really good season and we are in a really good position to kick on. I think in February that’s what you should be aiming for. “I look around our dressing room and I see a group of lads who love what they do and relish this challenge. So for the remaining 13 domestic matches and however many we have in Europe, we will focus on ourselves and what’s great about this club and our situation.